West Ealing Neighbours Blog – Page 3 – Working together to make West Ealing a better place for residents, businesses and visitors. 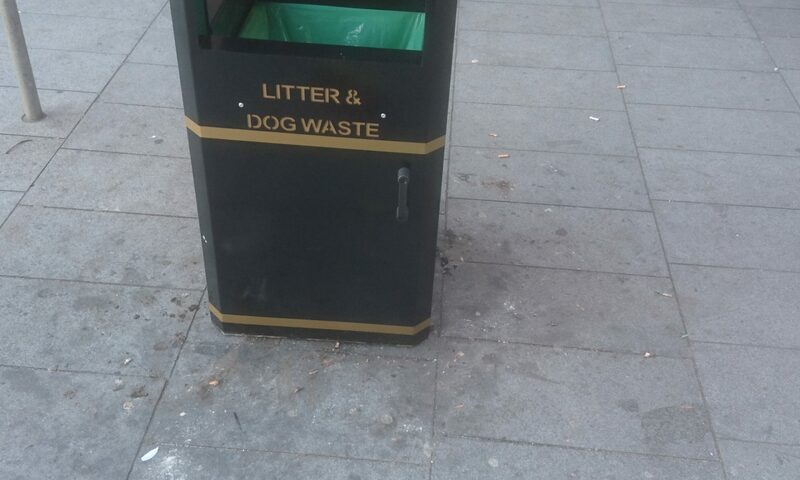 It sounds a bit trivial but i do think little improvements can make a difference and I think these new litter bins in Melbourne Ave are a great improvement on the previous ones. Melbourne Ave was re-designed a few years ago and had new paving, trees, planters and bins. 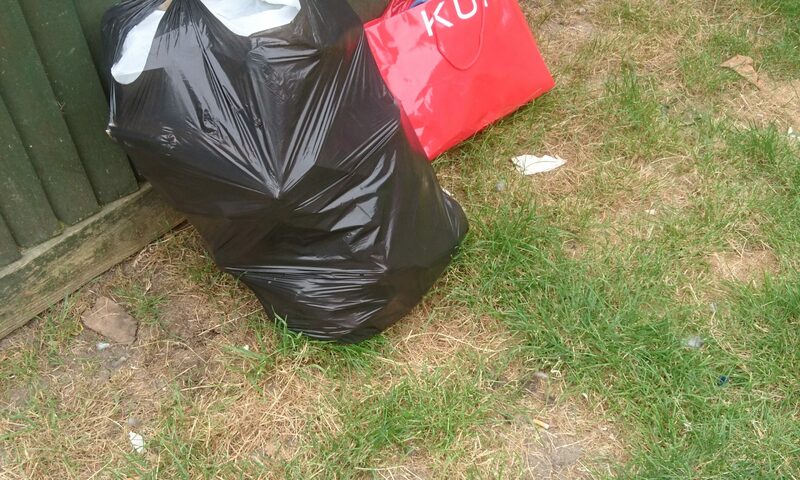 I have to say I think the whole project was design before function and the bins were exactly that. They always looked a mess so I hope these new ones will prove more successful. After all, Melbourne Ave is the nearest we have to a town centre and it deserves to look decent. That’s why WEN took on the maintenance of the planters and will look after the raised flower bed across the road once the plants are in. 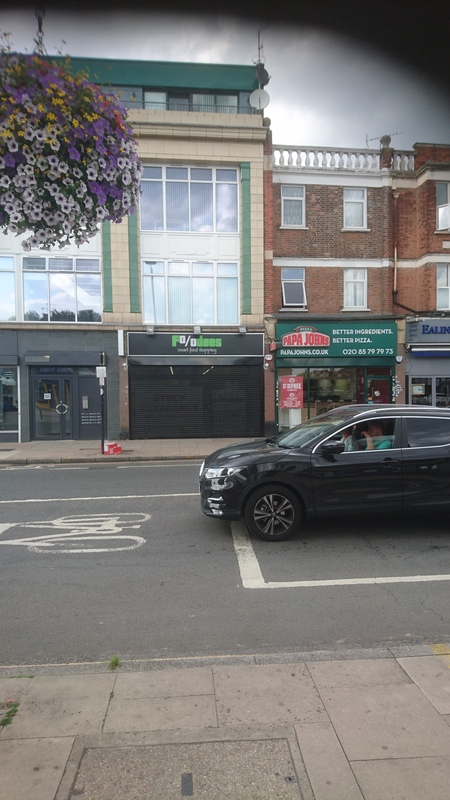 Ealing Council is seeking views on what it’s like for pedestrians to use the Uxbridge Road. 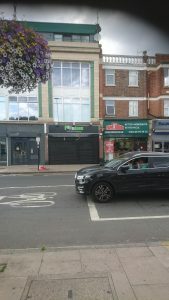 Working with Sustrans (a leading active travel charity) they are carrying out a survey of people who use or cross Uxbridge Road in Ealing, looking at the entire length from Acton in the East of the Borough to Southall in the West. This survey is looking to improve the experience and safety for all those using the pavements and crossings, including pedestrians, those using mobility scooters, people in wheelchairs and people with pushchairs. Click here to give your comments. The survey runs until Monday 12th November. Thanks to the Feeling Ealing website for spotting this story. As part of TfL’s cost savings the 207 and 607 buses will terminate at Shepherd’s Bush and not Westfield as from April 2019. They used to terminate at Shepherd’s Bush before Westfield was built with the final stop a couple of hundred metres short of Westfield. As the Feeling Ealing site says, it’s not a huge change but it’s inconvenient for people with mobility problems and parents with young children. Thanks to the Ealing Today website for running this story. A new report by the Green Party on housing in London claims that London boroughs are falling well short in building affordable homes. According to their figures using the London Plan target of 40% affordable housing for new development, the borough of Ealing is 1,871 homes short of this target. Ealing falls even further behind if the Strategic Housing Market Assessment figures are used – falling short by 4,539 homes. This is a timely report for West Ealing given the plans for the Woolworth’s site which propose 35% affordable homes. This is lower than the London Plan target of 40% and lower still against Ealing’s Housing and Homeless Strategy target of 50%. The application for the Woolworth’s site has yet to go before the planning committee for a decision. 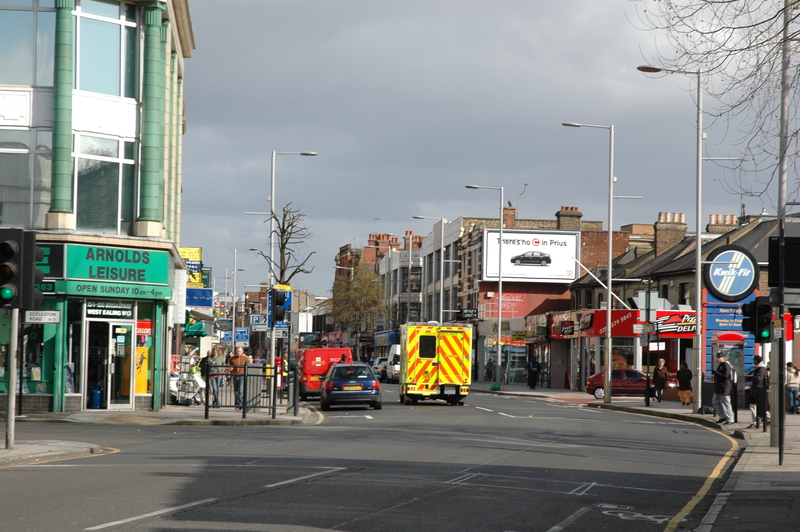 Shops or housing on the high street in West Ealing? A couple of days ago I saw the sign in the window at Bensons for Beds that it will close down on 16th September. 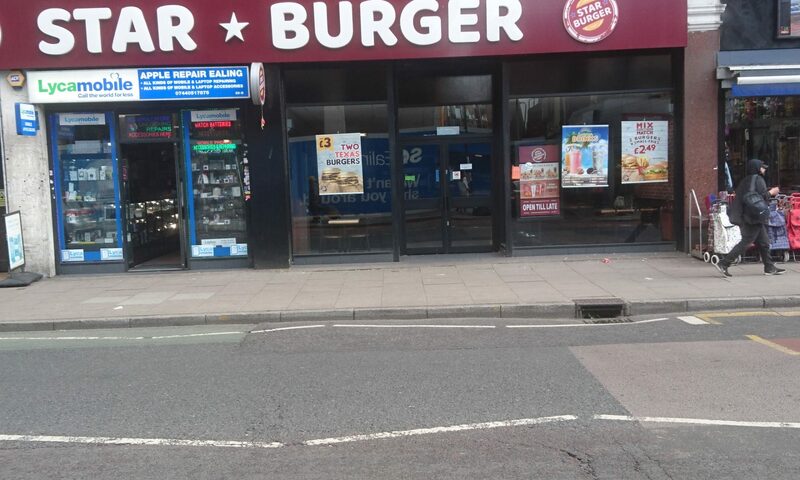 Then I was told that Star Burger (Burger King as was) looks shut, temporarily or permanently is hard to tell. Followed by the recently-opened Foodies store which also looks closed. On top of these, Express Print has moved to Harrow. That makes four shops closing in the last month and all are in the stretch of the high street going west past Melbourne Ave.
It’s obvious that the footfall drops off drastically once you get past Melbourne Ave. Admittedly, not every shop relies on footfall. A good example, is Juniper which sells school uniforms. This is a destination shop to which people will travel because such specialist shops are few and far between. Nevertheless, for most shops, getting enough passing trade is going to be a vital part of survival. It makes me wonder whether the Council should no longer insist that when a high street site falls empty or is redeveloped it must include ground floor retail space. What is the point when there are empty shops nearby? Wouldn’t it make more sense to allow housing on the ground floor? I think that may be what will happen when the site of the Community Shop, also in this same stretch of the high street, is eventually redeveloped. High streets are all under pressure from our changing shopping habits. Every year the percentage of shopping done online goes up and we have less need for the high street shops. Sure, we can’t get our hair cut online, our nails manicured or our teeth filled but almost everything else we can easily buy online. Mr Grimsey’s report says that facilities such as libraries and digital and health hubs should be part of the offering to bring back people to town centres, together with housing and some independent shops.” The BBC article is worth a read. It may all be a coincidence that these shops are all in the stretch where the footfall drops off considerably but well worth thinking about what we want the future high street to look like. 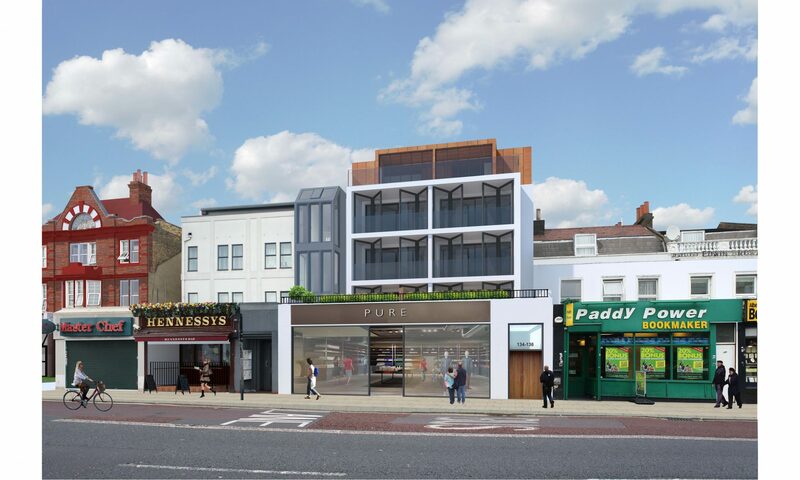 A planning application has been submitted for a part five-storey and part six-storey building with 17 one-bedroom flats, one two-bedroom and one studio flat on the site once occupied by the Community Shop and offices (Pure in the above illustration). The application number is 183569FUL and more information is available on the Council’s website. At some point we expect to see an application come forward to redevelop Chignell Place. The owners have taken possession of most of the shops and cafes in this once notorious cul-de-sac. This will almost complete the redevelopment of this run from Chignell Place to the Diamond Hotel. Then development across the road above the empty site where the Polish supermarket used to be is likely soon. 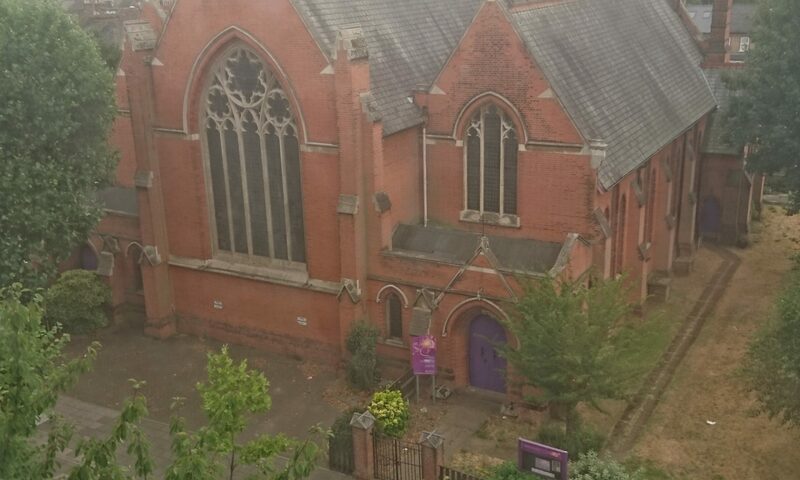 After over a century, St James Church in West Ealing is closing its doors – this time for good. It was closed down for a period some years ago. I can remember it boarded up and with broken windows. This time though it looks like its closing for good. Services stop this month and classes in the church hall are coming to an end as well. It looks like a combination of a dwindling congregation and the cost of the church’s upkeep . St James along with St John in Mattock Lane make up one of the Church of England parishes. It’s been a feature of the local community for over 100 years and we now await a decision by the church authorities as to what next for this building. 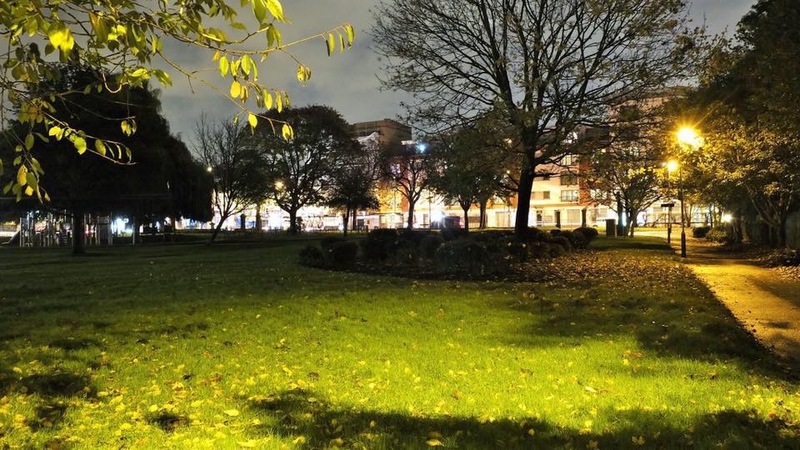 West Ealing Neighbours and other local groups would dearly love it to become a community venue. It could host a wide range of activities for all age groups from a space for older residents to meet and socialise to a vibrant space for teenagers in the evenings. Alongside these uses it could be a space for live performances, music rehearsal, and a temporary gallery for the artists and craftspeople who will occupy the second floor of the nearby co-working hub Ealing Works due to open in St James Ave later this year. No decision is likely until early next year. We will update this story as more information becomes available. 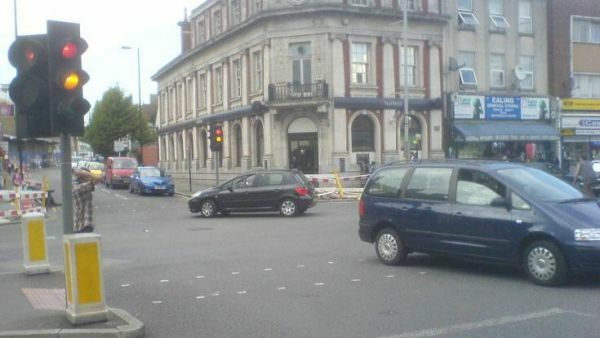 It’s been there for many years but the now closed NatWest bank site at the Lido Junction is now for sale for £1,050,000. Whilst it’s not a listed building it’s one of West Ealing’s few architectural landmarks. We can only hope whoever buys it keeps retains the building or will it too be demolished and replaced by yet another tower block? Mastcraft – which is looking to take over the Town Hall and turn it into a “Boutique Hotel” with the loss of The VIctoria Hall from much public access, has announced that there is to be a public consultation on its plans from Thursday 21st June to Saturday 23rd June in the Walpole Room in the Town Hall. It is expected that their plans will be based on this scheme which, if they were to proceed, would involve the demolition of property that is in the Victoria Hall trusts ownership. There is more information about these plans on Save Ealing’s Centre website.